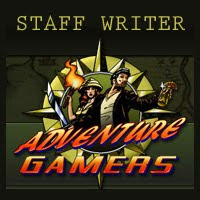 This review is a part of the 'Casual Collection: April 2011 New Releases' article. If it's a game about voodoo, it must be in The Big Easy. Sure enough, in Funswitch's Voodoo Whisperer: Curse of a Legend, an ominous cloud swirls over late 19th century New Orleans as young Lillian is informed by her voodoo priestess mentor that a malevolent force has cursed the residents. 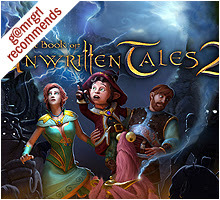 Now it's up to Lillian to eliminate the evil entity, and as she seeks to discover the source of the maladies by solving puzzles and scouring a variety of hidden object scenes, she'll also learn more about her own supernatural gifts in the process. Lillian's adventure begins on her own sprawling estate, which includes a mansion, a chapel, the family crypt and the obligatory backyard swamp lorded over by a hungry crocodile. Eventually she'll make her way into town, encountering a population of seven along the way – four of whom are cursed, two are dead (though momentarily revivable by magic) and of course the villain. A map marks Lillian's current and completed locations, but with only four main areas (or five if you include the hotel, fully integrated in the Collector's Edition) to visit in sequence, it has no practical use. The task list is similarly redundant, noting the two or three objectives per location which, given the strict linearity of proceedings, are impossible to forget anyway. Unlike in most games, players can toggle between the two difficulty modes at any time – regular has faster hint recharging and sparkling hotspots, while the advanced mode only has hints. Lillian largely searches for usable items to solve inventory quests, though she does occasionally find simple standalone challenges, including pipes, image-matching and jigsaws. She can also use voodoo spells on certain items, such as the useful 'Move', which shifts heavy objects. 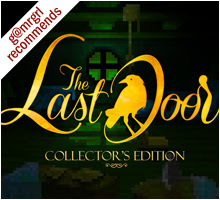 The inventory puzzles are logical and easy to solve, and are well-integrated into the story apart from a few awfully contrived situations in pursuit of regular household objects. Two interesting items are added to Lillian's arsenal midway through the first chapter: a mortar, used to combine ingredients to create dolls and potions, and a grimoire, a book which stores the recipes and spells to enchant them. This adds intricacy and focus to the game, nicely incorporating the spirit of voodoo and elevating it slightly from just being a run-of-the-mill scavenger hunt. The 16 hidden object screens (and several more in the CE bonus chapter) are elaborately designed, though many are repeated unnecessarily to pad playing time. The objects are era- and location-appropriate and reasonably well-concealed, and the main challenge comes either from item names no longer in our vocabulary, such as a pocket tinderbox and a boneshaker, or from familiar-sounding items like a pencil case or stethoscope looking quite different a couple of centuries ago. Unfortunately, objects are recycled between screens without remorse, and many necessary items are arbitrarily disposed of, forcing you to continually collect tools of similar purpose like garden shears, a saw, a cake knife, a pocket knife, a pen knife, and several sorts of scissors. Most areas fully explored are marked onscreen as completed, but there is still a lot of needless backtracking required to fetch objects you can only observe at first, and to find hidden object scenes you've already searched that have been activated again without any indication. Easily the prime asset of this game is its beautiful, realistic screens, each of which is meticulously drawn with numerous little flourishes that bring both the genteelness of the era and the darkness of its evil to the fore. A few cutscenes of static images intersperse the story, while the rare conversations are displayed as text dialogues, with voiceovers limited to the beginning of the game. The music efficiently supports the art to create a morose if mildly perilous atmosphere, and is bolstered by sound effects like cracking thunder, creaking swings and croaking frogs. Another highlight is Lillian herself. She's an intelligent and spunky child, and leads the game with sensitivity and courage. 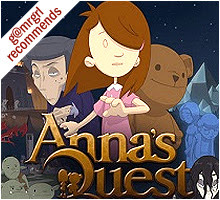 She describes objects and situations in detail, provides straightforward instructions on how to resolve most quests, and ultimately confronts the villain with great determination. 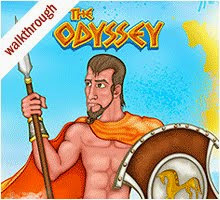 Players, however, are only given a half-baked explanation of the crisis before being summarily cursed with a 'to be continued' at the end. It doesn't even take long to reach that point, as even the expanded Collector's Edition can be completed in three-odd hours. Rather than simply tacking an extra chapter onto the end, this CE inserts its single bonus location, Barlowe's Hotel, seamlessly into the main game as one of five places visited by Lillian. 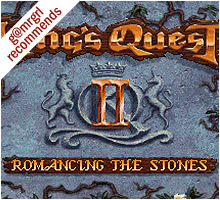 This brief chapter, which features a few inventory quests, a handful of hidden object screens and one jigsaw puzzle, doesn't add any new revelations to the investigation; it merely boosts playing time by a half hour. 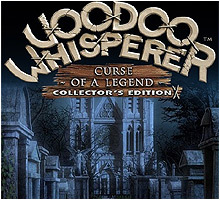 Overall, Voodoo Whisperer: Curse of a Legend is an attractively crafted game that's unfortunately pinned down by a lukewarm mystery, repetitive item searches, needless backtracking and an abrupt cliffhanger ending, so step in only if you're keen on soaking up the spooky New Orleans atmosphere and rummaging through the delightful antique-laden hidden object screens. summary: AGDI's enhanced remake of Romancing the Throne will give you plenty of reason to fall in love with it.